Introducing new 300ml size Kubota Manju Junmai Daiginjo! 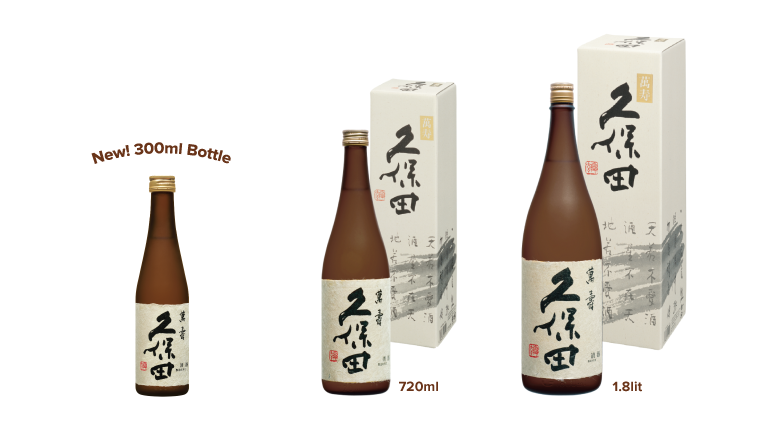 As Niigata’s reputation for dry sake, Kubota maintains its high quality flavor using 100% rice harvested in Niigata. This sake is brewed using the traditional method and the flavor foreshadows the Kurabito’s (Sake Brewer’s) diligent effort, knowledge and skills. This premium quality of Kubota Manju has an exquisitely balanced aroma, sophisticated taste yet very drinkable and clean and clear finish. It is delicate, refined and incredibly high class; pairs well with shellfish, sushi and sashimi of all kinds.